Recently I Posted ThatSoon You Will Be Able To Run Windows Apps On Any Android Device It's Almost Time. 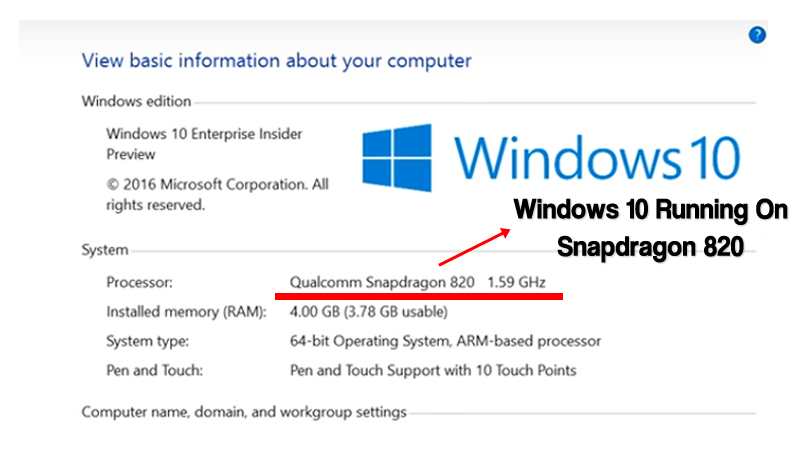 Microsoft and Qualcomm have announced a partnership to port Windows 10 to smartphones, tablets, and PCs powered by Snapdragon’s 64-bit ARM chips. Windows 10 mobile operating system is struggling to survive. It has Android and iOS to compete with. However, Microsoft isn’t ready to give up. Microsoft just planned to play a new innings with the help of the new range of Windows 10 Mobile devices. That means users will be able to enjoy full Windows 10 experience on an ARM-powered device. The first Windows RT (Run Time) powered surface tablets that only ran Universal Windows application, not Win32/x86 ones. Now, the planned version of Windows 10 on ARM devices are more advanced. The full version of Windows 10 desktop will run on Qualcomm chips and it will not only run Universal Windows app, it will also run Win32 apps via emulation. According to ZDNet, sources tells that the technology is named “Cobalt emulation” and will arrive next year. So, it will be the first time the full version of the OS with support for Win32 software and universal Windows apps will be easily accessible. You will be able to run full-fledged Windows apps like Office, Edge, Photos on Windows 10 powered snapdragon devices. The company had also shown a video demonstration on Windows 10 Running on Qualcomm Snapdragon processor. So, Microsoft is about to turn a phone into a real PC. What do you think about this? Share your views in the comment section below.